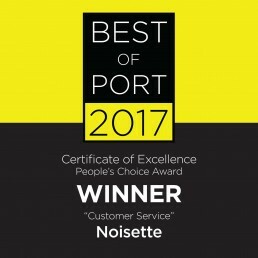 Noisette Port Melbourne recently attended the Best of Port Award held at The Pier. 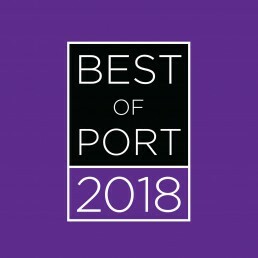 The annual awards acknowledge outstanding businesses within Port Melbourne. Now in their seventh year, the awards are proudly presented by the Port Melbourne Business Association. We can very proudly say that Noisette won the Customer Service awards for the 5th consecutive year. Such an amazing team effort from everyone, and a true credit to all the hard work! Channel 9's popular series Postcards recently featured one of Australia's (and Port Melbourne's!) most talented artists Megan Hess, and some of her favourite Port Melbourne haunts. We were privileged to fall into that select group along with our great friends across the road Co.Co. Watch the clip below to see everyone featured. Thanks again to all involved! You've done enough getting other things ready. For dessert keep it easy or just pick it up! You could go for the grand prize - a lunch and dessert combo - or you just as easily dazzle everyone with some individual cakes and pastries. If you are going to someone else's house, no one will dare judge you if you turn up with a pack of Noisette goodies! Macarons - even try to match your team colours! Slowing down the pace a little from yesterdays big start, a bit of a lighter option to get you through to the quarter time break - Gourmet Dips! 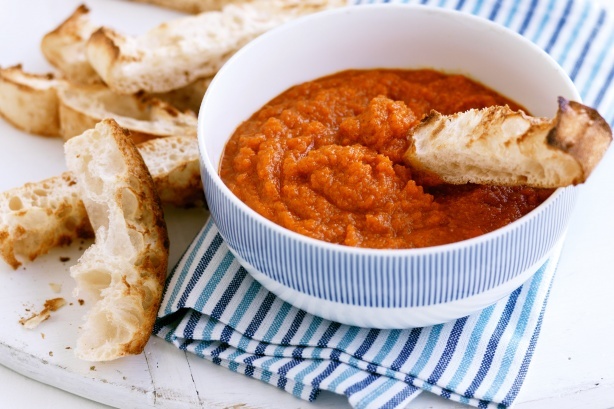 If you are looking for something to just get you by, dips can be a great way to have variation and exotic flavours without over committing on a dish that is too complicated. While the flavours will predominately on the bread, don't forget that your bread can also have some flavour options. The big flavour options include olive loaf or baguette, shallot loaf, sun-dried tomato and chilli and even a walnut loaf. 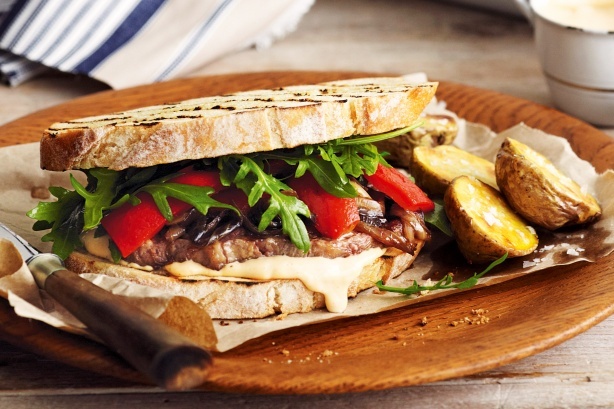 A classic option for the day of the event, otherwise a great option to help consume some left overs - Gourmet Sandwiches! As promised, here is the first of our 5 day countdown for some awesome grand final party food ideas. We didn't hold back either, we are starting with the big guns - Gourmet Hot Dogs! 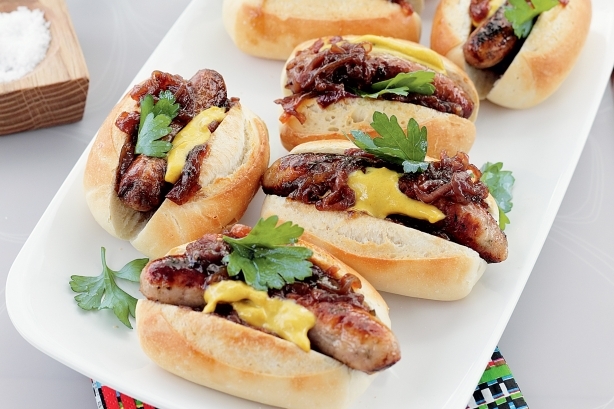 A staple at so many sporting events, the humble hot dog does not need to be just an American street food! You, your family and friends deserve better than just a frankfurt in a long roll! 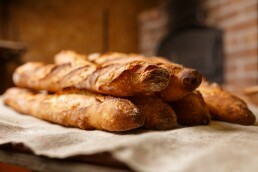 For crustier options, try a demi tradition or traditional baguette cut into 3 or 4 pieces. 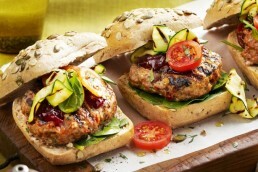 Well into the game now, your nerves are on edge so you'll need something substantial - Gourmet Burgers! If a BBQ party is what you have planned, then how much better does it get than a burger! Line up all of the toppings and condiments, and let your guests go wild making their own combinations to their particular tastes. Don't forget that you can make mini-burgers too - the smaller they are, the more you can eat! You could even try a bagel if you don't mind a hole in your bread! Noisette Grand Final Food Idea Countdown! So the hype is building across the country, but especially here in Melbourne. There are going to be gatherings of friends and family to watch the big game, and we know that eating is going to be a big part of the day. Noisette is getting excited too and to help you all out, we are bringing you - The Noisette Grand Final Food Idea Countdown! The plan will be to countdown from Monday 23 September to Friday 27 September with food ideas for your gathering. All of the ideas will be geared to party-type food, and all will be the sort of exciting grub that we know you will love. Stay tuned for a little tease and links out to some great food combinations that will satisfy and impress across the board! Like us on Facebook or check the website from Monday 23 September to make sure you don't miss out! Culture Trip have worked on shortlisting the best bakeries in Melbourne down to a list of their top 5. We are honoured to have made the list! From crisp baguettes to ciabatta and the humble loaf, bread is a staple in any kitchen cupboard. But how can you tell the crummy bakeries from the best boulangeries? Culture Trip has eaten their way through Melbourne to bring you a list of the bakeries you absolutely knead to visit. The display case is crammed with petite sweets, croissants and brightly coloured macarons. Baguettes are proudly displayed standing behind the counter alongside brioche, multigrain, rye and wholemeal loaves. With shops in Bentleigh and Port Melbourne, thereâs double the opportunity to treat yourself.